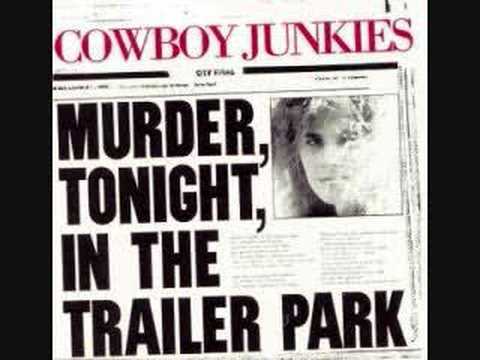 Murder tonight in the trailer park. with her throat cut after dark. her dresser drawers turned upside down. lets out a hollow kind of sound. cutting through that cordoned crime scene. There's been a murder in the trailer park tonight. we're going to make a fresh start. been looking forward to this day. are you coming or are you going to stay? hotel neon fights the dark. he only wants to know, did I win or did I lose.